Suzannah has become interested in the American Girl dolls, especially since we saw the Kit Kittredge movie. 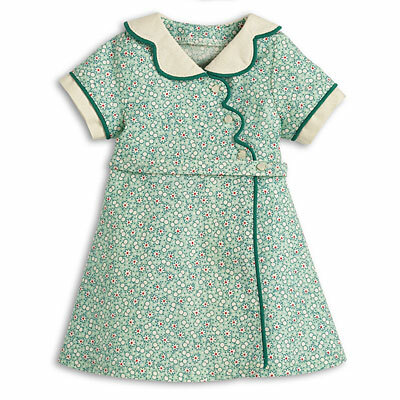 And, because she is Suzannah, wearer of dresses, she wants to wear the calico and feedsack dresses of the depression era. Can love for certain kinds of fabric be genetic? I remember long talks with M. about what colors of fabric we liked. We liked very similar things when we’d go to antique shops. We liked shabby stuff before it was chic to like shabby stuff. We liked orange and robin’s egg blue. 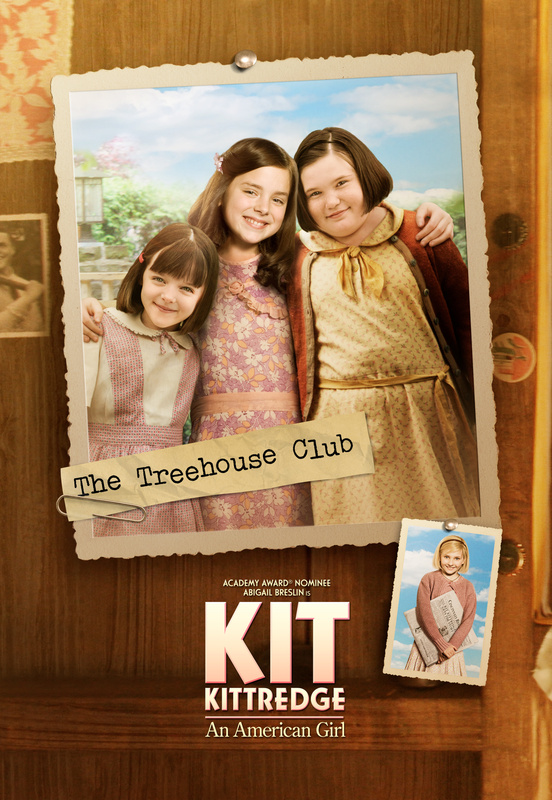 So, after the movie, when Suzannah mentioned wanting about ‘100 dresses like Kit and her friends’ I had a real sense of continutity between us three generations of girls. It’s all come together over fabric of all things. …the last one on the right. My personal faves are the two orange ones. 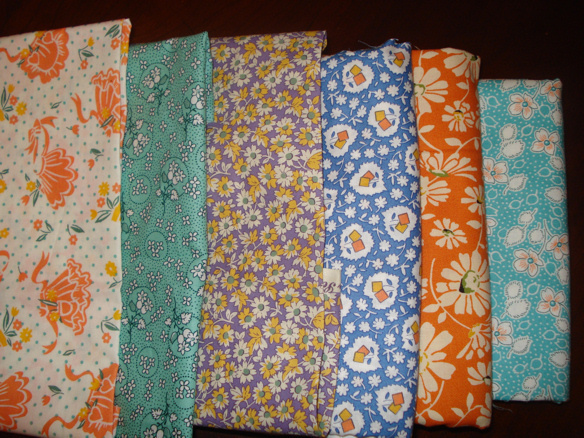 If anyone knows how to get ahold of patterns for dresses like these…please let me know! They don’t have to be authentically vintage. I’m having serious blogger’s block. My last post was a big giant spa treatment for my soul and since then, I’ve tried to sit down and write again, some more…something. Anything. The words, they don’t come. So, I thought that what I could do is have a bit of an open mike jam session and put it out there to anyone reading. Since I get emails every day with some kind of question relating to my blog, why dontcha just ask me here in the comments following. Go ahead and be anonymous if ya want to. Ask me anything. Or, take me to task. Whatev. Crack open the Kumis and raise your glasses! Suzanne, over at Straight Down The Mountain has downright made me blush. She has nominated me for the “You- make-the-world-a-better-place” award. Holy smokes that’s fancy. 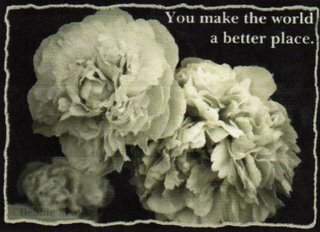 So, I’ll pass on the blog lovin’ to a few people who I know without a doubt are making things better in the world. www.actofkindness.blogspot.com John Wright and his family walk the talk. They give of their time, energy and money to the people who need it most in Kyrgyzstan. He and his group fix up properties, restore hope and provide dignity for the forgotten and needy. They bring food, vitamins, warmth, toys and money to the orphanages and baby houses in Tokmok and Orlofka. They help people who are living in the dump and have no other options. John plays with the children, reaches out to those who are sick and can’t afford healthcare. He does this because of an unwaivering belief and faith that this is what he must do. I admire him so much. He and his family are there now and I dare anyone to read his blog and not feel the same admiration and respect. Margie over at her blog, www.thirdmom.blogspot.com is a wise, kind, funny, insightful and amazing mom and human being. I feel that she is an online mentor for me in her graceful and gentle way of interacting with other bloggers (especially ones whose opinions are different from hers) and she writes about adoptive parenthood that exemplifies respect for her children, their mothers, and their country of origin. Margie is an activist, writer and a good soul. Read her. Judy over at www.justenjoyhim.wordpress.com makes the world a better place because of her peerless honesty, humor, chutzpah, and her all-around sassyness. Judy is another adoptive mom to Nate and I admire her parenting so much. She walks an honorable path in everything I read in how she lives her life. Right now, Judy is battling cancer and is asking the tough questions that go along with a life-threatening illness. I totally love Judy. She makes the world a better place because her writing is as big as her heart. Lastly, but not leastly, I want to send an award out to Nicole at www.paragraphein.wordpress.com for being an incredibly brave blogger. She writes with her whole mind, heart and soul on being a relinquishing mother who regrets placing her daughter for adoption. She writes with great compassion and anger about adoption, the system that let her down over and over, difficulties and pain in open adoption, and what it all means to her. I never tire of her willingness to put it out there, and to let all comments stand, even the ones that hurt her. So, while I wish she weren’t having to write a blog about her pain, I celebrate her and I feel that she absolutely is making the world a better place by writing at length about that which must be changed in the American system of adoption. Feast on the riches of these people.